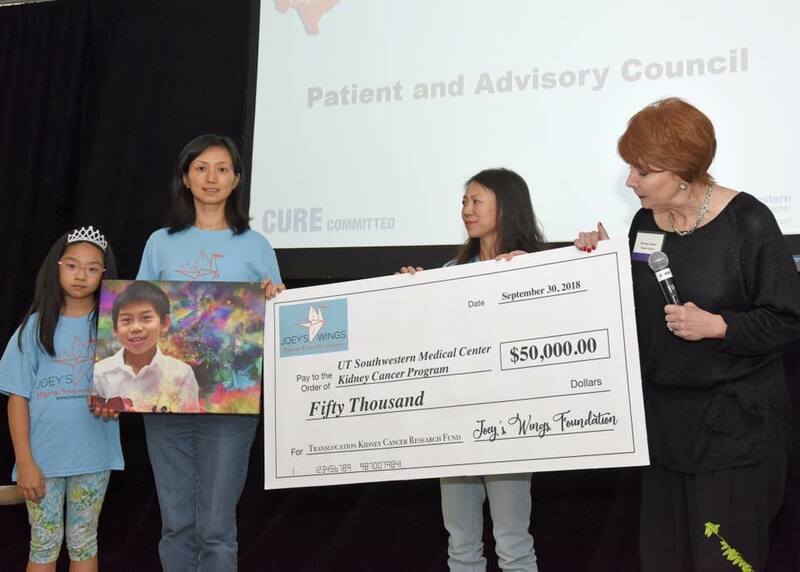 At the 2018 Kidney Cancer Program Annual Event at UT Southwestern Medical Center Kidney Cancer Program, we presents a check of $50,000 to continue the research on translocation renal cell carcinoma. We want to thank everyone who supports us over the years. Thank you for your dedication and persistence to help us find more treatments and less toxic treatments for children fighting cancer.